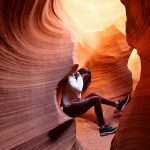 As promised, here is my Amangiri travel diary for days three and four. In case you missed days one and two, you can catch up here. 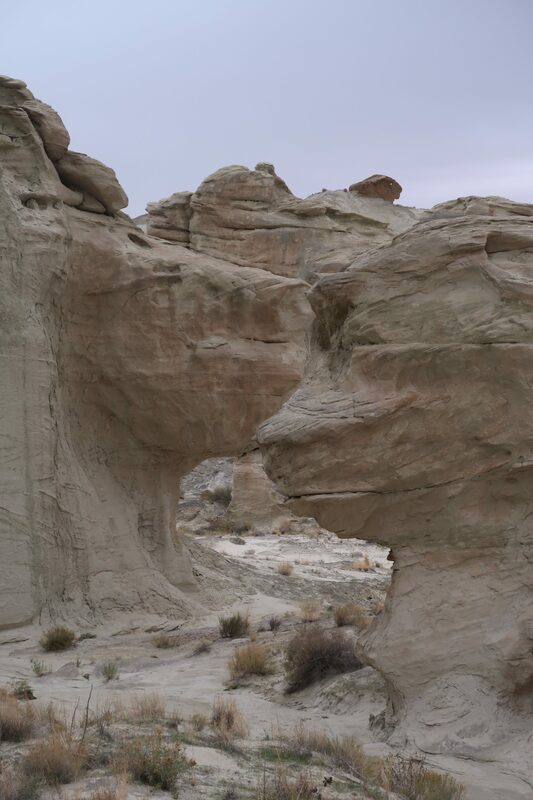 Something worth mentioning is that Amangiri is only a 15 minute drive from the Arizona border. 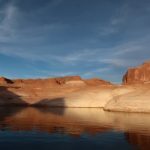 Though many people opt for a direct flight to Las Vegas and then a 4 hour drive to the Amangiri resort, we chose to fly to Pheonix Arizona and then connect to Page, Arizona (about an hour flight) which is only a 25 minute drive to the Aman resort. The Amangiri 5 star resort is perfect for those who appreciate the outdoors, enjoy luxury spa amenities and are in need of some rest, relaxation and a recharge. This trip definitely checked all of these boxes. On day three of our trip, we were supposed to take a balloon ride which I was super psyched about as I’ve never taken one before, but it was cancelled due to the weather. Instead we enjoyed a lazy morning in and then headed off to a hearty breakfast. Something to note which I was not told about in advance, is that this resort is known for their decadent pancakes. Perhaps that was a good thing! I did however manage to enjoy their freshly baked chocolate croissants and zaatar focaccia which were both yummy. As a matter of fact all their breads and desserts are made fresh at the resort. 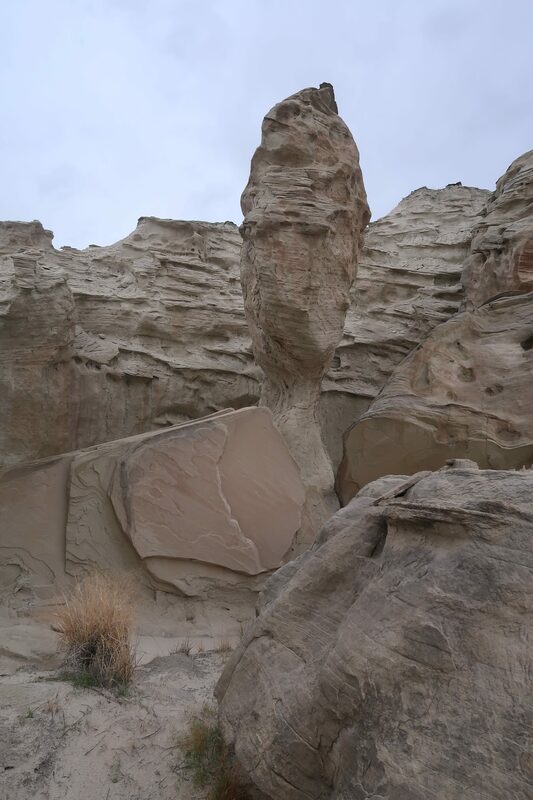 After breakfast we took a guided tour of Resurrection Canyon which is where Planet of the Apes was filmed many moons ago. Speaking of the moon, my husband described parts of the hike, as if he were walking on the moon. 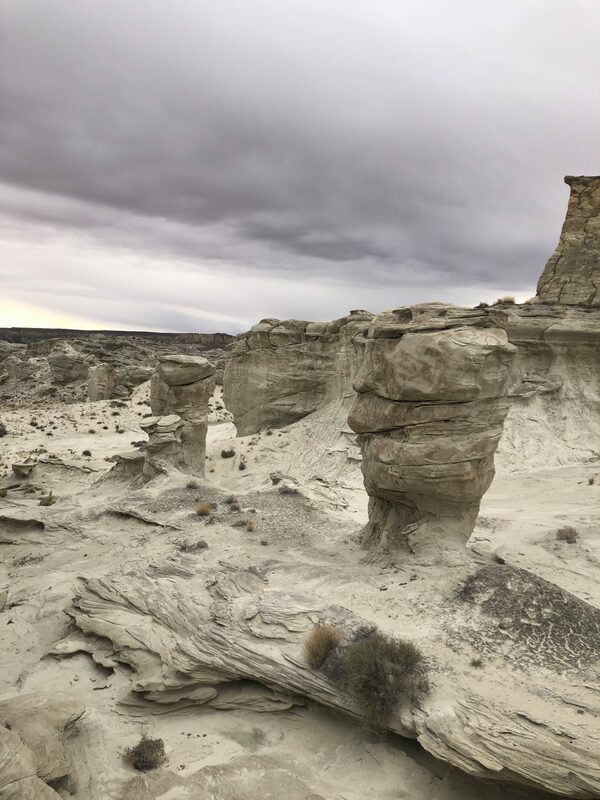 Resurrection Canyon is mostly made up of white canyons, hoodoos and winding chutes. I like to call all these landforms, g-d’s gift to nature. They are truly breath taking. After our hike we returned to the hotel for some more spa time. I got a deep tissue massage followed by a scalp massage which melted away any stress. In case you are wondering about dining, all meals are served on premises as this resort is truly secluded. If you have any dietary or food restrictions, the restaurant staff seems more than happy to accommodate. Case in point, we mentioned we would be eating mostly fish and vegetables. The head chef couldn’t have been nicer and kindly arranged the meals based on our preferences. 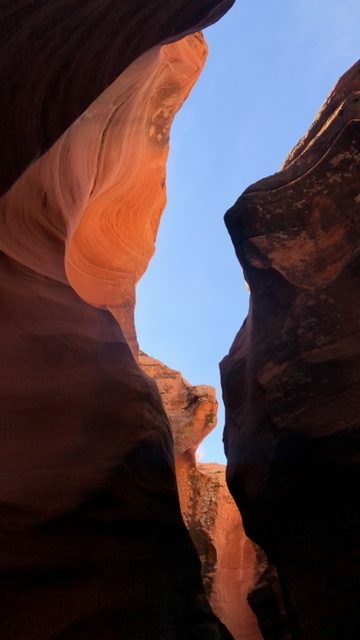 Our last day consisted of a tour to Three Slot Canyons with a Navajo guide. 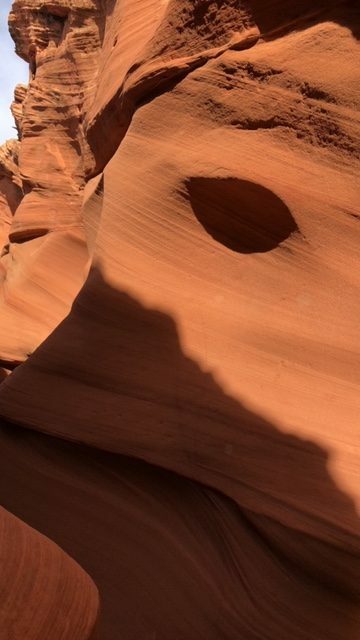 These three canyons are probably the most photographed – you may recognize them from Instagram. 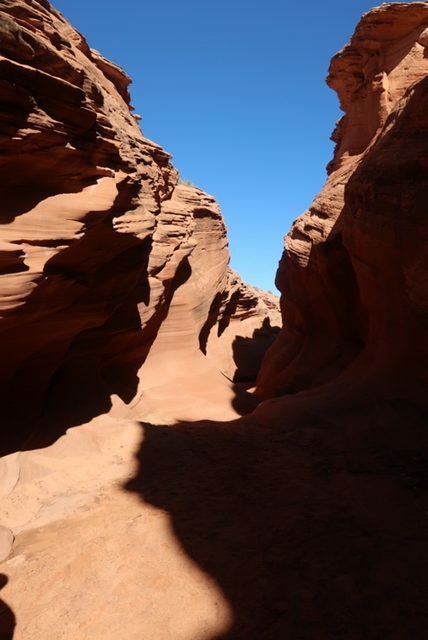 My favorite canyon was the Rattle Snake, and as the name suggests, it is naturally shaped like a rattle snake. After our tour, we returned to the hotel for a leisurely horseback ride around the Aman property. 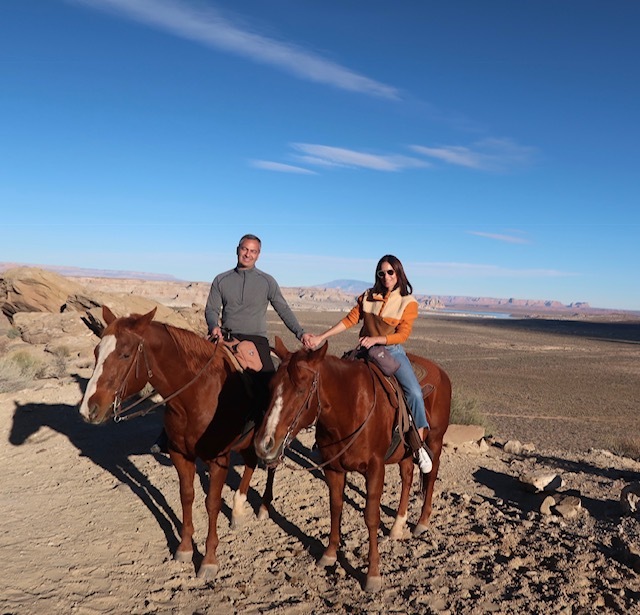 I thought the horseback ride could have been a bit shorter but it was still picturesque and the slow paced ride allowed me to gain little more confidence in riding. After our ride, we were surprised with a secluded romantic picnic at a private hillside spot. We were treated to champagne and some delicious mid afternoon snacks. The staff set up rocking chairs and had extra blankets on hand so we could enjoy the gorgeous sunset as the temperatures usually drop in the evenings. On our last night I opted for a crystal sound bath which is supposed to bring you to a peaceful and mindful state. Before my first sound bath experience, I thought it was an actual bath – silly me. For those who don’t know – a crystal sound bath consists of a sound specialist who creates soothing sounds by twirling crystal batons around the sides of hollowed bowls. My mind was a bit dizzy from the champagne I drank on the sunset trail, but I did manage to doze off and relax. All in all, this trip was a magical experience filled with adventure, laughter and much needed quality time with David.